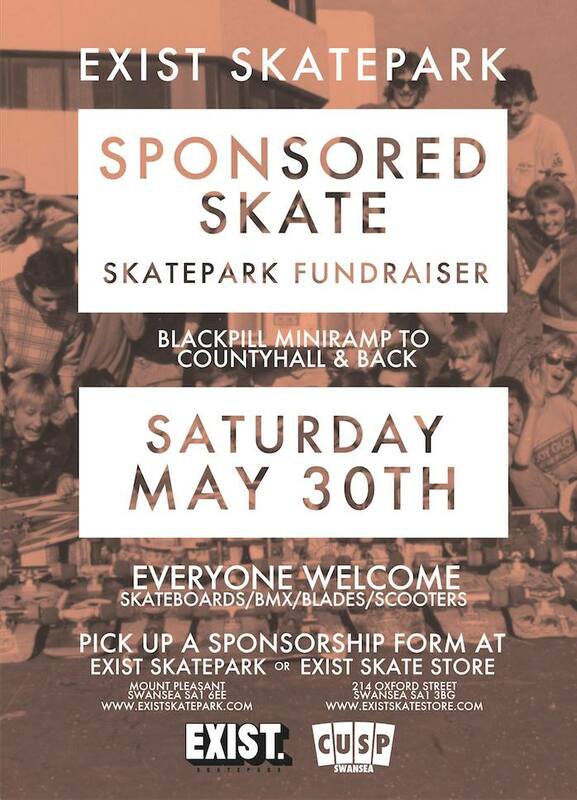 It’s been done before and its happening again… Join the guys and girls on Saturday 30th May 2015 for a sponsored skate along the prom from Blackpill mini ramp to County Hall and back. Again raising money for the skate facility Exist skatepark. sponsor forms can be picked up at Exist skatepark or at the Exist shop in Oxford street. Lets raise some money to help keep Exist open and let everyone see how skaters in Swansea need good facilities!